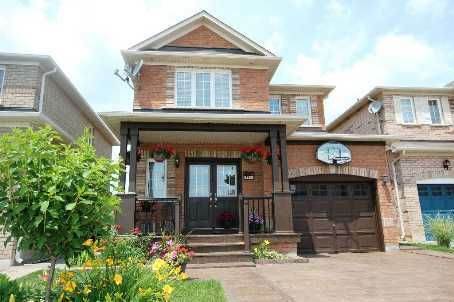 Toronto Real Estate Blog - GTA News : Milton Detached House for Sale Under $500,000 - Main Street Village - Milton is the New Destination for Young Families! Main Street Village, Milton - Milton Detached Homes for Sale under $500,000! Gorgeous Move in Ready! Welcome To This Absolutely Stunning Detached 3 Bedroom, 4 Bathrooms Home Located On Child Friendly Quiet Crescent in Dempsey Park Neighbourhood. This Home Is Loaded With Extras:Gleaming Hardwood Floor On Main Level W/Potlights, Lovely Kitchen W/Oak Cabinets,Ceramic Floor And Backsplash, Open Concept Living And Dining ,W/O To Large Wood Deck, Wood Staircase, Direct Access To House From Garage Finished Basem. W/Great Rec. Room. Enjoy The Outdoors In The Beautiful Landscaped Backyard And Amazing Interloc In Front. Extras Include : Premium Lot Size, 9Ft Ceilings On Main Level.Easy Access To 401 Highway, Close To Shopping, Schools, Go Station. Window Coverings, Washer, Dryer, Stove, 2 Fridge, Dishwasher, Cac, Garage Door Opener, Central Vac, Lots Of Pot Lights, Fully Fenced Backyard. Download a feature sheet for more info or check out our virtual tour! Thinking of Selling Your Milton Home - Think Sutton and Sutton Staging to maximize your appeal! Affordable Solutions - Low Commissions!